Beemster (BAME-ster) cheese has been around for over a century and is regarded as a signature Dutch cheese in the Netherlands. However, the Beemster Polder, where the cheese originates, has been around since the 17th century and was was inscribed on the UNESCO (United Nations Educational, Scientific and Cultural Organization) World Heritage Site list in 1999. In 1612, Dutch engineers drained uninhabitable marshes and bogs by using a system of dikes and windmills resulting in the first large scale and the most famous polder (land reclaimed from the sea through draining) in the Netherlands. The land was organized and divided by a grid of squares that was superimposed on the landscape. This became the ideal for all polders and soon after the norm for city planning and landscape architecture. In fact, the Beemster Polder is directly responsible for the layout of Manhattan! Dutch engineers and construction workers who drained and constructed the Beemster Polder were among the first immigrants to arrive in the new land and they used their knowledge and skill to help design Manhattan in a utilitarian fashion into the Manhattan we know today. Once drained, the new land was too saturated with water to grow any type of crop so they focused their attention to dairy farming. The Beemster Polder has a nutrient and mineral rich clay soil with a distinctive slate blue color that yields longer, fertile, and thicker grasses, giving the milk an especially sweet and creamy quality. During the middle ages, cheese markets were on the rise and people were flocking to the rich, creamy, and smooth texture of the cheeses that came from Beemster. 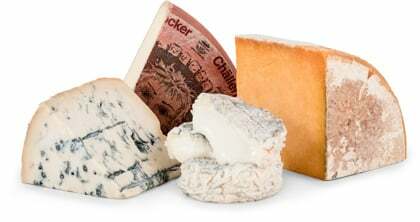 Over time, the cheese developed into the Beemster cheese we know today. In 1901, the dairy farmers came together and created a formal co-op that helped streamline production and ensured consistency in its taste. Similar to Gouda, Beemster cheese comes in several different varieties including flavors of mustard and garlic, and also in different strengths and ages such as the strong Beemster X-O that is aged for 24 months and Beemster Goat Cheese which is only aged for four months. The cheese that you are being introduced to is the Beemster Classic. This cheese is the Beemster hallmark cheese that has been aged for 18 months in historic cheese warehouses, giving a rich and creamy texture with a light caramel color. This cheese looks and feels similar to parmesan but it is more closely related to gouda in taste and texture. 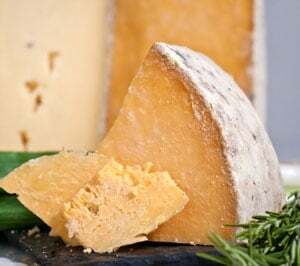 The first thing you will notice when tasting the Beemster Classic is the smooth, creamy texture followed by a sharp, salty flavor due to its extensive aging. The saltiness comes from little grains of salt within the cheese that are added for a more rich and complex flavor. We find that since Beemster is a “gouda style” cheese, you can slice it for sandwiches, cube it for snacks, or grate it for cooking and pair it with red wines, port wines and dark, stout breads. Also, this cheese will need a little more time for the full flavor to reach it’s peak so please allow one hour for it to come up to room temperature.